On July 4, 1946, the Philippines officially regained its independence from the United States. Aside from the Declaration of Independence, the Philippines signed the “Treaty of Manila” with the US. The agreement detailed how the US would withdraw and surrender “all right of possession, supervision, jurisdiction, control, or sovereignty existing and exercised by the United States of America in and over the territory and the people of the Philippine Islands,” although the country’s economy continued to rely on US markets and the latter maintained control of its military bases here. 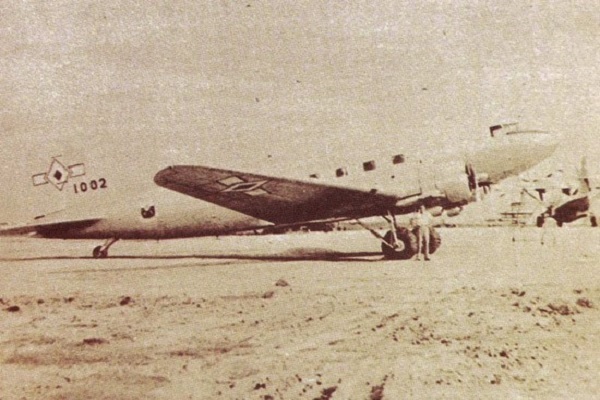 On the same day, a C-47 transport plane named Lili Marlene arrived in Manila, along with other aircraft and military equipment, which were “sorely needed at the time,” especially by the Philippine Army Air Corps (PAAC, later the Philippine Air Force). At the time, the government was working to suppress guerrilla and communist movements. Barely a year later, the Lili Marlene crashed as it flew over Mt. Makaturing in Lanao. The plane carried high-ranking government officials. Among the fatalities was Colonel Edwin Andrews, who headed the PAAC. Before the crash, Andrews had been working for the eventual separation of PAAC from the Philippine Army. He wanted the PAAC to become an independent service of the Armed Forces of the Philippines. At the time of his death, the PAAC already had its base headquarters at Nielson Field, equipped with air engineering, troop movement, and communications capabilities. The PAAC had nine airways aviation detachments, including air squadrons for combat. PAF historians interpret Andrews’s death as symbolic of how PAF “stepped out from under the wings of its parent organization.” On July 1, 1947, just two months after the crash, the PAAC came on its own as the Philippine Air Force, headed by “a dynamic and equally dedicated Filipino,” Major Pelagio Cruz. Flight to the Future: Perspectives on the First 50 Years of the Philippine Air Force. Manila: Philippine Air Force, 1997.